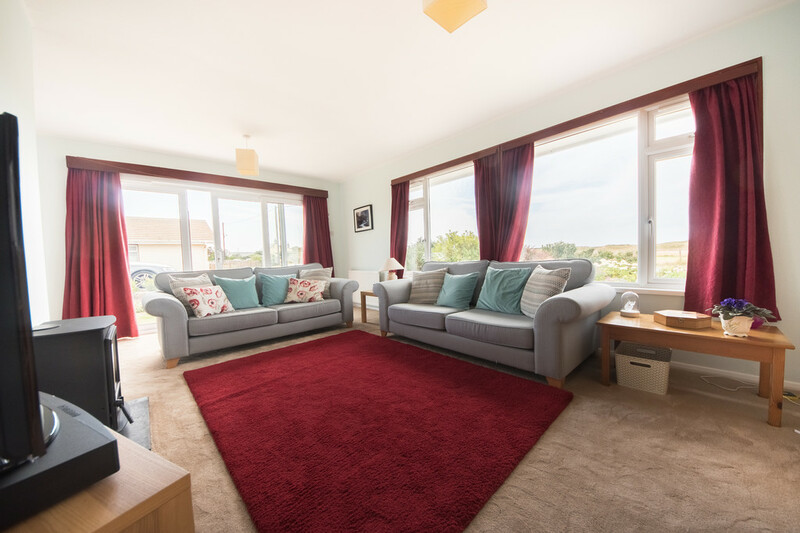 The thing we love most about Renfrew Drive is the stunning views of the neighbouring Ynyslas sand dunes, a view that not many properties locally can say they have. 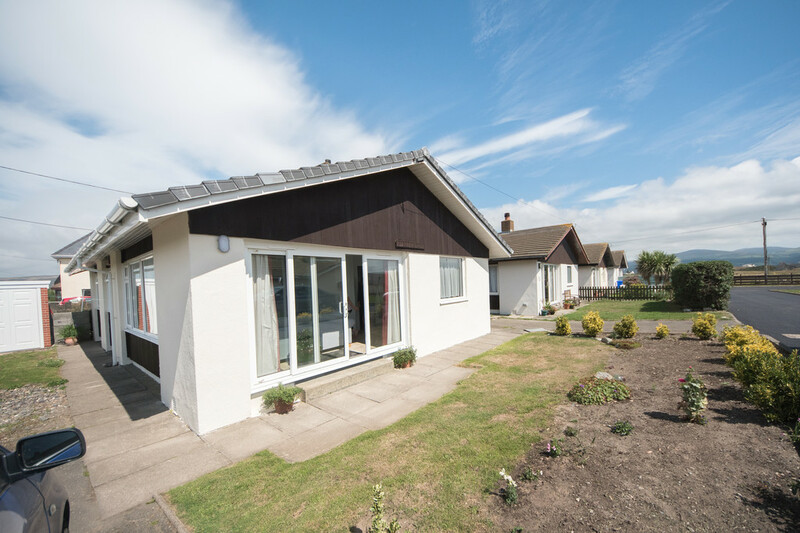 Watch the sun go down from the comfort of your very own living room or just a two minute walk away from the beach itself. What more could you ask for? 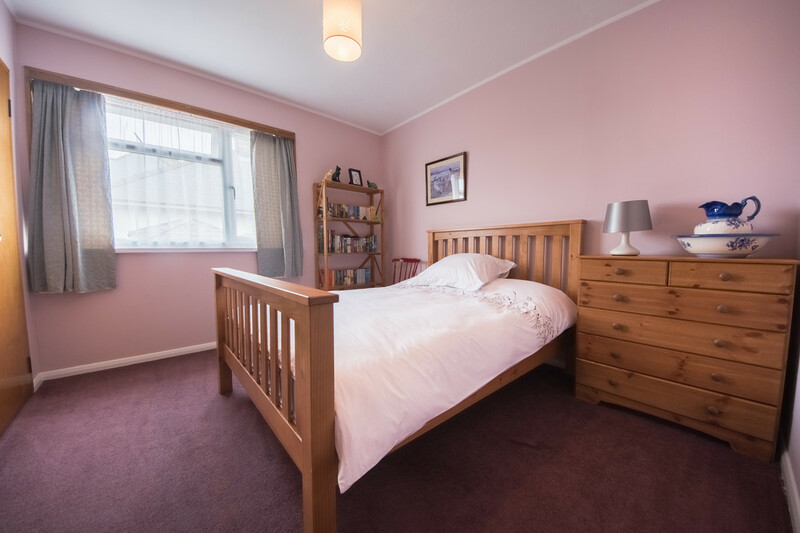 RENFREW DRIVE Presenting the opportunity to own this wonderful 3 bed property in the heart of Ynyslas. 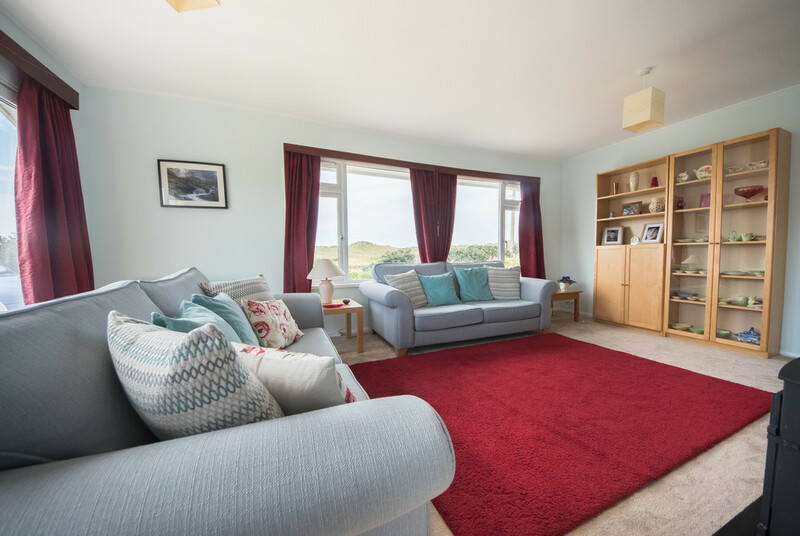 With stunning range and mountain views, fantastic location, light from every aspect and a stones throw to the sea – this truly is not to be missed. 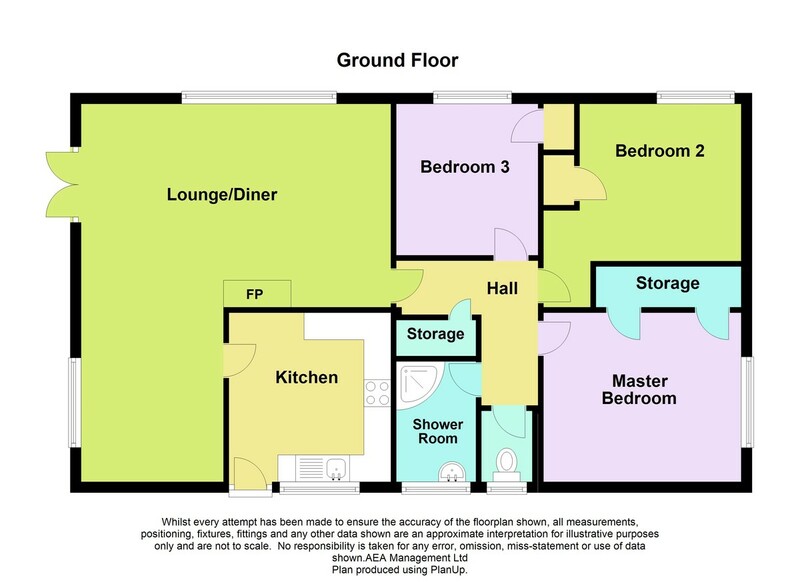 A large, spacious bungalow; this would suit as a family home, holiday home or retirement property. 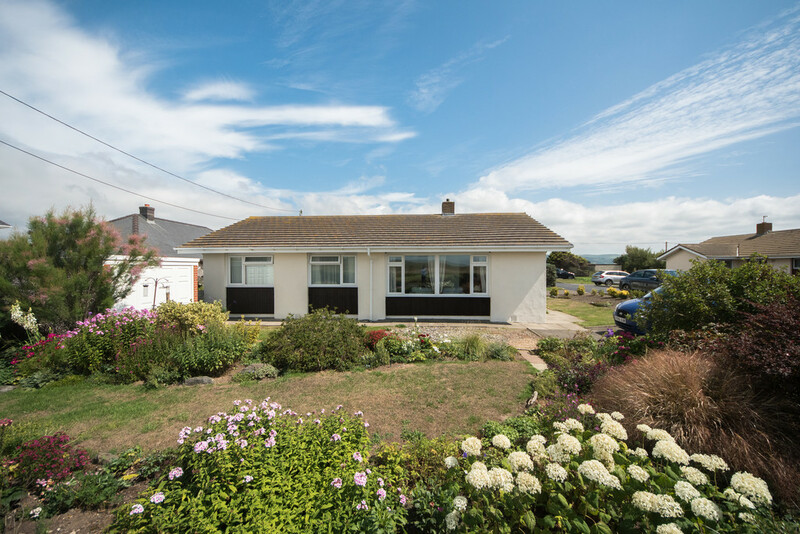 PROPERTY COMPRISES Property is entered via double glazed uPVC door into the kitchen. Property has new combi boiler installed 2015. 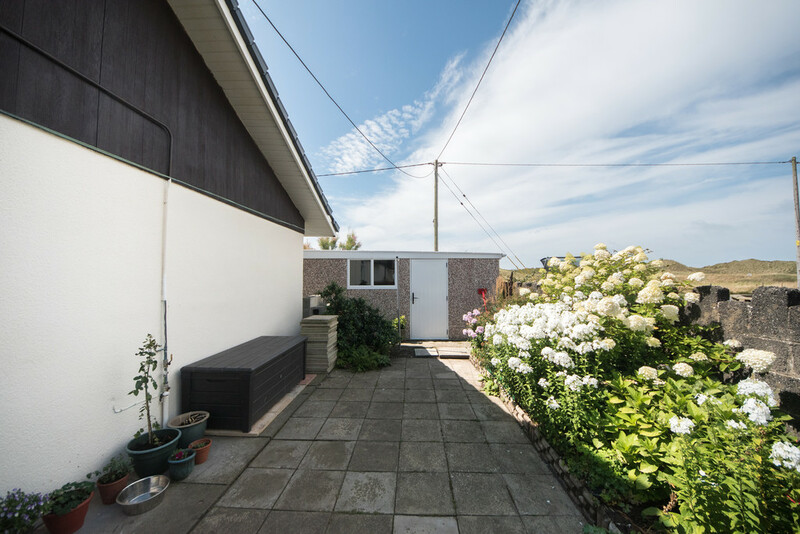 Property is fuelled by gas supplied by LPG Gas tank in rear garden. 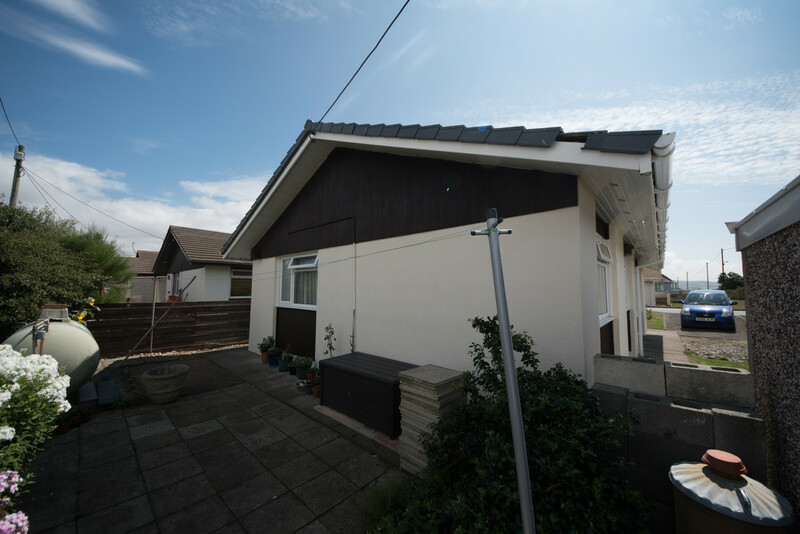 New roof 11 years ago alongside guttering and new windows throughout. 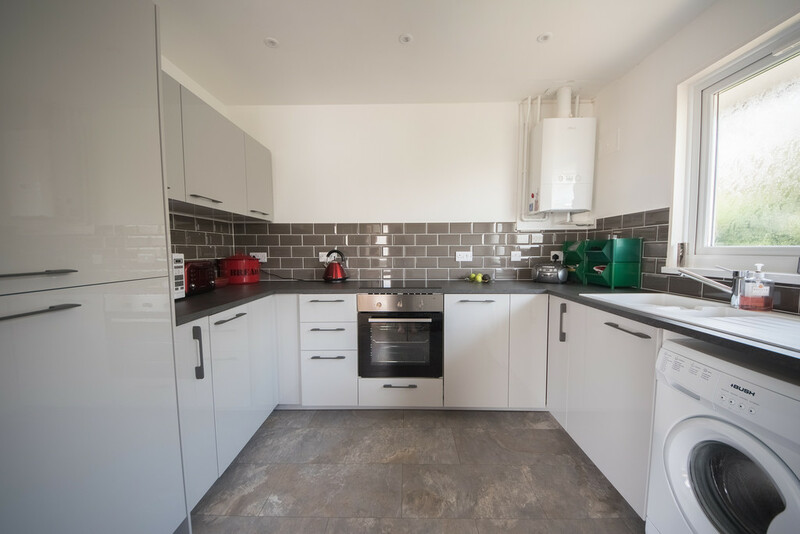 KITCHEN 18′ 9" x 8′ 7" (5.74m x 2.62m) Kitchen just a matter of months old since recent renovation. Window to side. Range of base and eye level units with roll top work surfaces over. Single bowl, single drainer stainless steel sink with mixer tap over. Integrated fridge freezer and dishwasher. Integrated four burner electric hob with complimentary grill and oven below and extractor hood over. Space and plumbing for washing machine. Tiling to water sensitive areas. Combi boiler. DINING ROOM 23′ 3" x 8′ 7" (7.09m x 2.62m) Continuing from the Lounge, the diner is partially separated from the main area. Just like the lounge, this room is remarkably light, benefiting from all the natural light from those large front facing windows. Wooden door leads to the kitchen. Telephone point. LOUNGE 12′ 8" x 18′ 9" (3.87m x 5.74m) Television point. Two windows to front of property overlooking the golf course and the sand dunes with large patio doors to side. 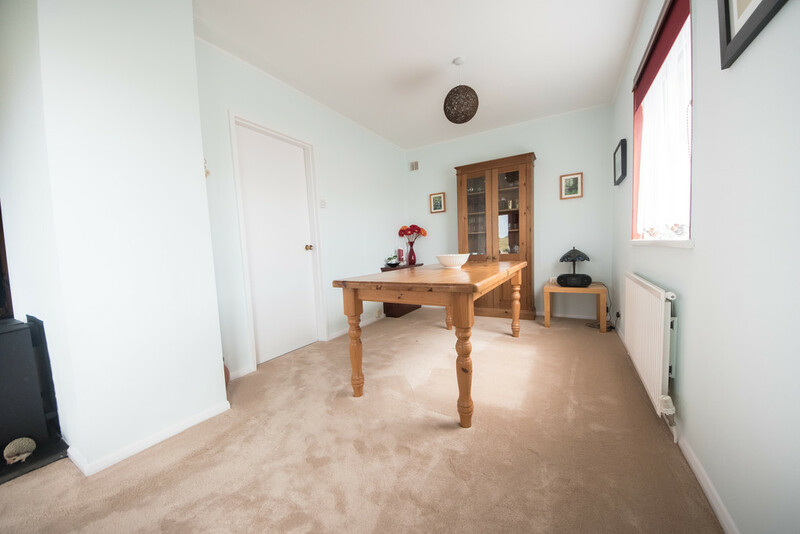 Large space suitable for both living area and entertaining. Wood burner gas fire. BEDROOM ONE 9′ 10" x 11′ 0" (3,34m x 3.37m) Double bedroom. Window to the rear of property. Double built in wardrobes. 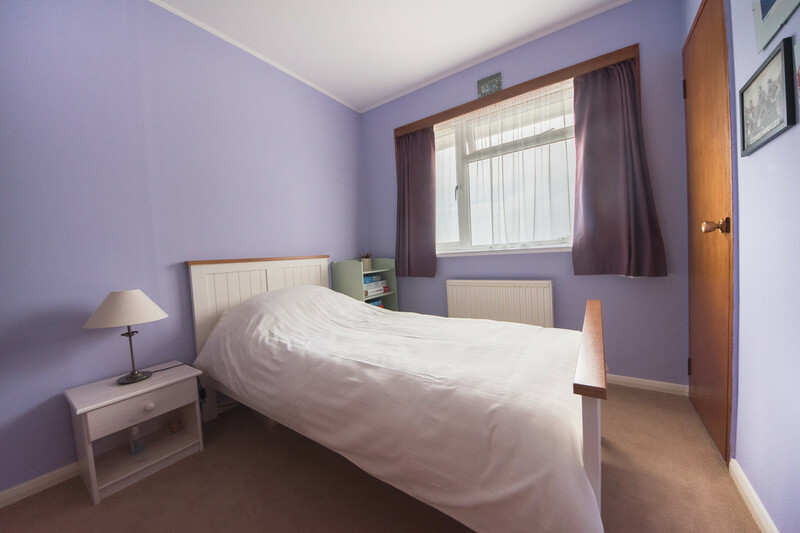 BEDROOM TWO 9′ 10" x 11′ 0" (3.00m x 3.36m) Another double bedroom neutrally painted and carpeted throughout. Built in wardrobe. Window to side of the property. BEDROOM THREE 8′ 0" x 9′ 3" (2.45m x 2.82m) Single bedroom. Side view over the golf course and the dunes. As with the others this room has a built in wardrobe space. WC 2′ 9" x 5′ 1" (0.85m x 1.55m) Low flush WC, frost glass window to rear. BATHROOM Tiling to walls. Suite comprises pedestal wash hand basin and uPVC panelled walk in shower. Heated towel rail. OUTSIDE OF PROPERTY Small lawn area with mature garden surrounding as you approach the house. OUTSIDE SIDE OF PROPERTY Tarmacadem drive way with parking for 2 vehicles. Garage and storage area. OUTSIDE REAR OF PROPERTY Patio area with a view of the sand dunes, an idyllic space of outdoor dining as the sun sets on a warm summer’s evening. 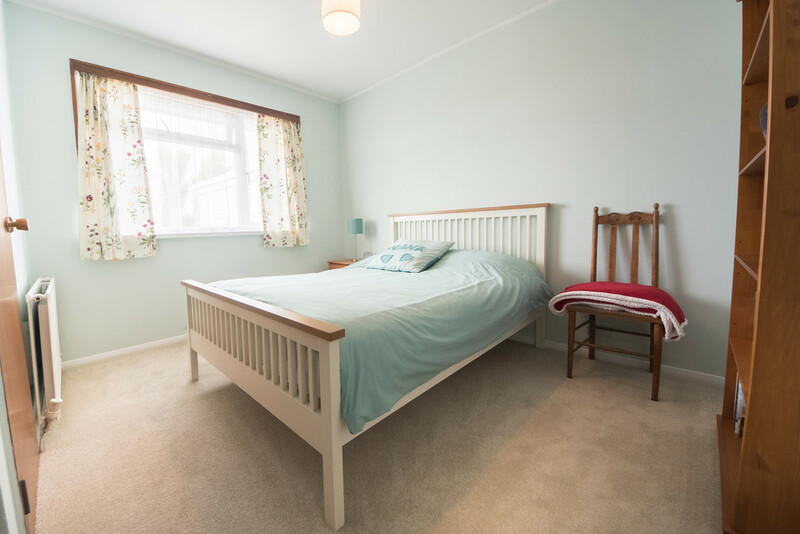 COPYRIGHT © 2019 by Alexanders Estate Agency. All rights reserved. This publication or any portion thereof may not be reproduced or used in any manner whatsoever without the express written permission of the publisher, except for the use of brief quotations in a property reviews. Having had Alexanders as our agent on our rental property for about 18 years, and also as our agent when buying a property 6 years ago, I can confidently say that they are professional and thorough. Also they are very friendly and approachable - a pleasure to work with.